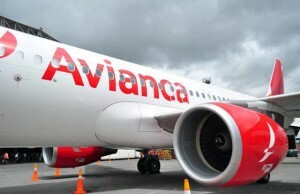 Colombia’s Avianca airline was avoiding Venezuelan airspace after a flight from Spain was approached by at least one warplane on Friday, creating a diplomatic incident, according to flight data, an airline source and authorities. The Colombian defense ministry said the plane, which was flying from Madrid to Bogota, was briefly approached by a Venezuelan military plane, resulting in diplomatic conversations and the Venezuelan president, Nicolás Maduro, ordering an investigation. There was no official word from Avianca, but a source at the carrier told Reuters it had suspended flights to and over Venezuela after two warplanes approached its plane on Friday evening, forcing it out of Venezuelan airspace. Data from the online tracker FlightRadar24 confirmed Avianca’s flights were avoiding Venezuela on Saturday. It also showed Avianca’s Boeing Dreamliner took a sharp turn when flying over west Venezuela around 8pm local time, in line with a statement by Colombian authorities. The South American neighbors have for years had a volatile relationship, with Venezuela’s socialist government sometimes accusing Colombia of provocation and claims in the other direction that Caracas has supported Colombian guerrillas. The lengthy border is a constant source of tension. Both nations’ defense and foreign ministers have discussed the plane incident, Colombia said. It said Maduro “personally ordered the investigation into the case”. Venezuelan authorities did not immediately respond to a request for comment. The Colombian statement cited Venezuelan authorities as saying its warplane was on a “navigation mission”.